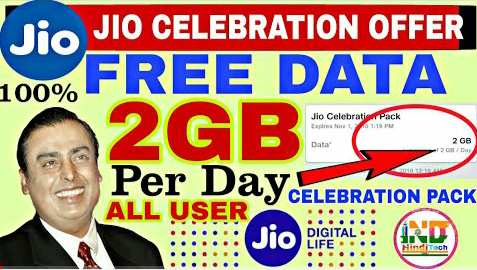 Jio Ne Celebration Pack 2GB Data per day for 4 days Ke Liye Free Me providing Kar Raha Hain. Ye Offer valid hain shirf all Prime members Ke Liye. 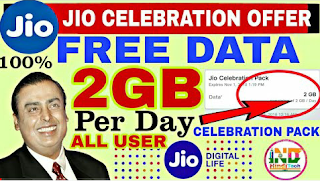 My install karneke bad open kije open karneke bad Now Goto My Jio App >> Top Left Menu >> My Plans >> Celebration Pack.